Above Surveying is partnering with Opus Materials, TWI, Loughborough University and Cornelius Specialities to develop a soiling assessment service for the Solar PV industry. 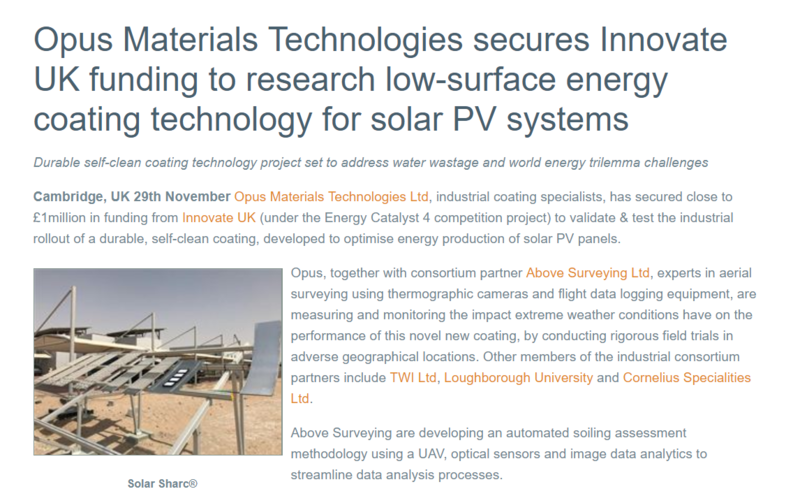 Part of a consortium working on the Innovate UK supported project, Always Clean, to develop highly repellent coating for Solar PV. Above Surveying will be developing automated soiling assessment methodology using a UAV, optical sensors and image data analytics.